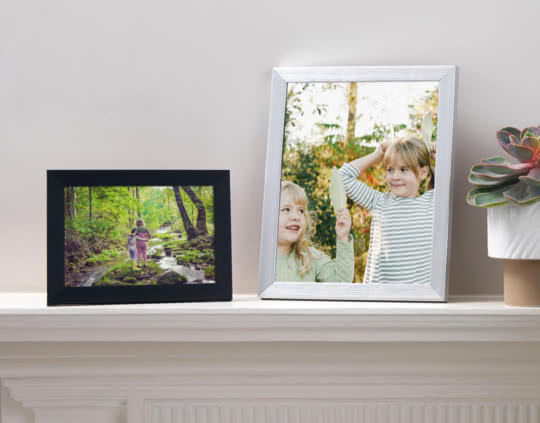 That pillow fight, that first time jumping in puddles and that those muddy hands after planting daffodil bulbs… Don’t leave those precious moments on your phone, display them proudly! Opt for big prints – for those moments you really don’t want to forget. Print a set of 8 UK regulation-size photos – perfect for all your official needs. Can I order black and white Prints? What are the exact sizes of the Prints? For easy reading, we’ve rounded the numbers up or down in most product descriptions, but you can find the exact measurements (to the millimetre) here. Can I order Prints on matte paper? Of course you can. 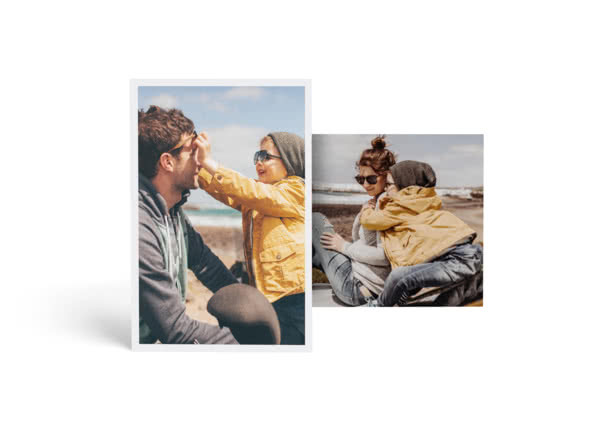 On most of our prints you can pick between a matte or gloss finish and even choose to add a white border. Look out for the different options when placing your order. Can I write text on my photos? If you choose our Retro Prints, yes. Either add text in the studio when you create your prints or write on them later with a marker pen. What’s the difference between Classic and Premium Prints? It depends on the product. Most of the time you'll get thicker paper. But take our Retro Prints for example, you’ll also get an extra-glossy finish and a free gift box. Just check the product descriptions for more info. 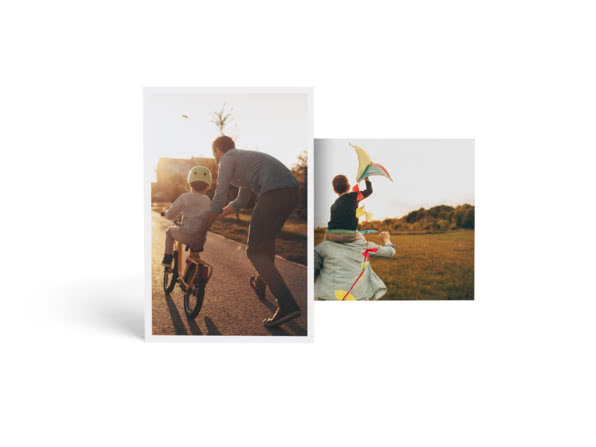 We print on professional Fujifilm photo paper. You can usually choose between gloss and matte finish – just check the product descriptions to find out. The photo printing pros. 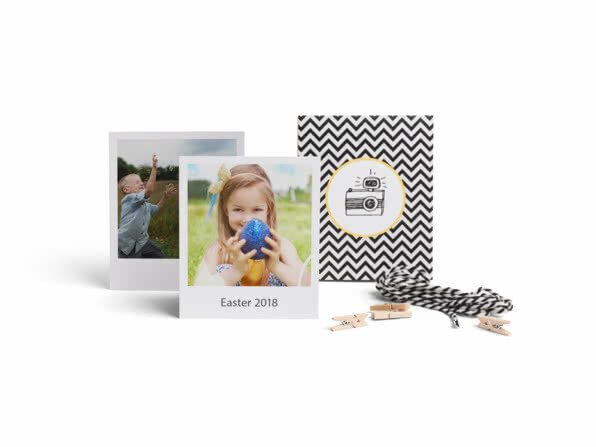 We’ll help you turn your favourite pics into thoughtful personalised gifts – because your best moments deserve to be shared (and not just on Instagram! ).